Writing Excuses 10.16 – What Do I Do with All This Blank Space? 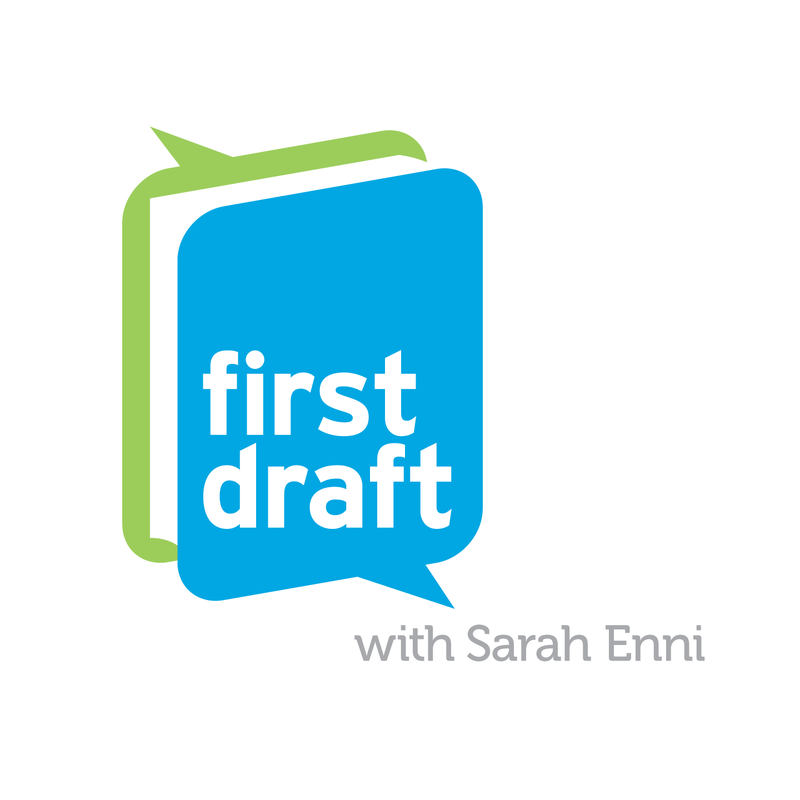 This 20-minute podcast focuses on the beginning of a novel and the promises made to the reader right when you start. They discuss how, if you choose the wrong starting point, you can set up a false impression of what your story is about, and risk disappointing the reader. If you’ve done any reading about story beginnings, you will probably have heard some of the tips they cover, like not writing the first page first, or don’t sit staring at a blank page but jump in somewhere. I was intrigued by their thoughts on how to order information in a story. I also liked their reminders about the opening hook and how it needs to indicate the tone of the story. As a first time listener, I appreciated the way Sarah Enni set the stage, describing where and when the interview took place. I was especially interested in their conversation about the pressures and stress of what comes after the debut book. And I loved that Erin is such a big Harry Potter fan! It was really interesting to learn how she uses social media and her interests to connect with her readers. I have done this -- put all kinds of stuff into a novel and ended up with a giant mess because there are too many different things going on. If you'd rather read than listen to a podcast, the transcript is posted at The Creative Penn. 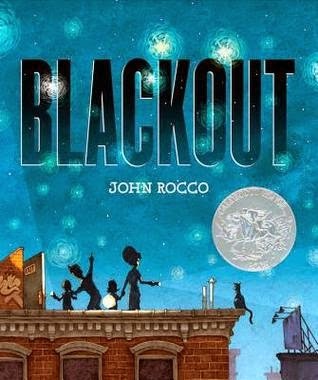 Learning from Picture Books: Blackout! The book I'm featuring today seems appropriate, after thinking about Earth Day and how to reduce, reuse and recycle. What would you do if there was no electricity? This book might give you some ideas, or at least spark a conversation. It has also been named a Caldecott Honor Book. One hot summer night in the city, all the power goes out. The TV shuts off and a boy wails, "Mommm!" His sister can no longer use the phone, Mom can't work on her computer, and Dad can't finish cooking dinner. What's a family to do? When they go up to the roof to escape the heat, they find the lights--in stars that can be seen for a change--and so many neighbors it's like a block party in the sky! On the street below, people are having just as much fun--talking, rollerblading, and eating ice cream before it melts. The boy and his family enjoy being not so busy for once. They even have time to play a board game together. When the electricity is restored, everything can go back to normal . . . but not everyone likes normal. The boy switches off the lights, and out comes the board game again. Blackout! written and illustrated by John Rocco, published by Disney Hyperion Books, 2011. This book provides a wonderful example of how minimal text works together with illustrations to create a complete reading experience. It’s definitely a book where every word counts. The beauty of this book is that it connects to a real experience a family might have had together. It’s a book that can spark conversation, without being preachy. I really admired the pacing. As a teacher, I might use this book to inspire children to think about their own experiences and memories as ideas for writing. This would be a nice book to read around the time of Earth Day, Earth Hour or Screen Free week (May 4 – 10), because it’s a great lead in to talk about alternatives ways to spend time without using much energy (e.g., board games vs. electronic games) and to get children thinking about what life might be like without electricity. For another review of this book, visit Patricia Hilton of Children’s Books Heal. There's also a video interview with John Rocco as a featured author/illustrator for the 12 x 12 picture book challenge. If you're looking for more great picture books to read to your class or to investigate as a writer, consider checking out the list of Perfect Picture Books, put together by author Susanna Leonard Hill. Another interesting story that incorporates historical events with fiction! This short book is easy to read and really worth it. It’s another one of the nominees for the Ontario Library Association’s Silver Birch Award. Alexander Graham Bell, Baddeck's most illustrious resident, and one of the world's greatest inventors, is also famous for the greatness of his compassion. It's 1908, and ten-year-old Eddie MacDonald shares the friendly inventor's passion for solving problems and for taking long walks in the fields above Bras d'Or Lake. But whereas Bell is renowned by many for being the smartest man in the world, Eddie is just a local farm boy who struggles to learn to read and write. After a few chance encounters, the elderly Bell befriends the young boy, and takes an interest in his struggle - encouraging Eddie to celebrate his successes and never give up. When Bell's long ambition for manned flight culminates in the Silver Dart soaring over Bras d'Or Lake, Eddie is inspired to find solutions to his own challenges. 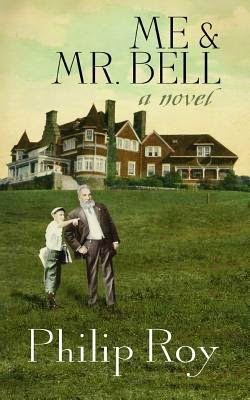 Me & Mr. Bell by Philip Roy, Cape Breton University Press, Sydney, Nova Scotia, 2013. Even though encounters between Eddie and Mr. Bell were fictional, they seemed very realistic to me. I was rooting for Eddie to start to feel better about himself and recognize his own unique talents. I really liked the way he was determined to overcome his difficulty and tried to find his own solution. It was also great that there was no “magic answer” to his reading difficulty (dyslexia) and that he was still struggling and learning from his failures at the end of the story. The details about Alexander Graham Bell's inventions and Helen Keller were intriguing. This is a short book, with a well-paced story that holds the reader’s interest all the way through to the end. As a writer, I’d study this book more closely to learn about how to write and plot historical fiction. I especially liked the straightforward writing style. Philip Roy is the author of many books for children, including the Submarine Outlaw series and the Happy the Pocket Mouse picture book series. He lives in St. Mary’s, Ontario and grew up in Antigonish, Nova Scotia. For more, visit Philip Roy's website. If you enjoy time travel books and/or magic, this is a great pick! It’s one of the finalists for the Ontario Library Association’s Silver Birch Award. 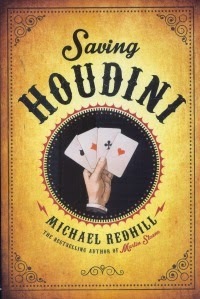 A classic adventure story set in historic Toronto—with a dash of humour and a lot of heart Dashiel Woolf is ecstatic when famous magician Bloom the Beguiler brings him onstage during a special performance to mark the eighty-fifth anniversary of Harry Houdini’s death. But a century-old trick invented by Bloom’s grandfather goes inexplicably wrong—sending Dash back to 1926. Wandering the historic streets of Toronto, he barely recognizes his city but with the help of his new friend, Walt, he hatches a plan to invent the trick that will transport him home. In doing so, they just might prevent the Great Houdini from taking part in the event that ended his life, possibly changing history forever. I really liked the concept of a boy traveling back in time through a magic trick. The friendship between Walt and Dash was portrayed realistically, since they don’t become instant friends. I especially liked the scene where Dash had to convince Walter that he was from the future. Since I live near Toronto, I found the historical details of the city quite interesting. I would have liked a little more to the story of how Walt and Dash tried to prevent the events of Houdini’s death, but it was an entertaining read anyway. From a writer’s perspective, this one is a great example to study to see how to use details to create a setting that comes alive for the reader. “Not me, not me, not me—” Dashiel Frederic Woolf sat completely still. Michael Redhill lives in Toronto. Saving Houdini is his first book for children. This sweet and simple book about two sisters captures the relationship between sisters so well! I borrowed a copy from the library after hearing about this book through Perfect Picture Book Friday. Maple and Willow do everything together. They love playing outside throughout the whole year, welcoming the sun, rain, leaves, and snow. But it’s not always sunshine and rainbows, because sometimes big sisters can be bossy—and sometimes little sisters can be frustrating—and even the best of friends need a break from each other . . . at least until they can no longer bear to be apart. 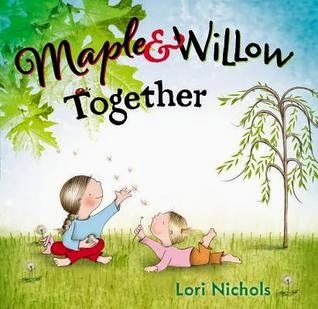 Maple and Willow Together is written and illustrated by Lori Nichols and published by Nancy Paulsen Books, 2014. I love the way this story takes simple, everyday experiences and puts them into a story that young children can connect with. I especially liked the way the author chose to have the characters solve their conflict, in own their way, with little adult intervention. The argument between the sisters is portrayed in a realistic way. This story is a good one to study to see how the text and illustrations work together. It also provides a great example of how page breaks help to propel the story forward. To learn more about how Lori works and get a peek at her workspace, try this interview with Lori Nichols at Miss Marple's Musings. The love of nature that Maple and Willow share in the outdoor setting fits nicely with a recent emphasis on learning outdoors. This book would be a great introduction for discussions on friendship, whether friends or siblings always need play together, having different interests, and ways friends can solve problems on their own. The clear and simple illustrations make this book perfect for preschool and young primary students. The author also provides a collection of Story Hour Activities on her website. I think I learn most of the history I know from reading fiction! I really enjoyed this fictionalized story about the plan to save children from the bombings in Britain during World War II. This book is another one of the nominees for the Ontario Library Association’s Silver Birch Award. In July 1940, a British government-sponsored program called Children's Overseas Reception Board -- or CORB -- was set up to send children from Britain to Canada and other Commonwealth countries, in order to rescue them from the bombings of British cities. The City of Benares was a luxury liner that was recruited in September 1940 to transport 90 of these children to Canada, along with the ship's regular passenger complement. A convoy of ships including The Benares set off from Liverpool in mid-September and approximately six hundred miles out, after the naval escorts had withdrawn, the ship was torpedoed by a German U-boat and sank in about half an hour. Only thirteen of the CORB children survived the sinking. As a result of this tragedy, the program was cancelled. 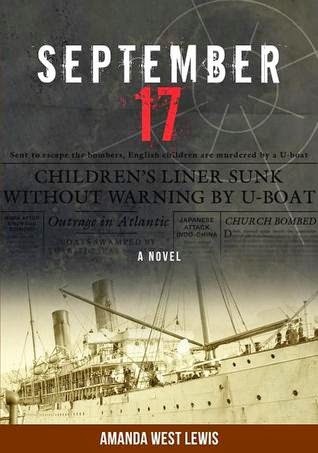 September 17 is a novel that tells the story of three of the children that were on board the City of Benares, as they experience and survive the disaster and wait to be rescued. One lifeboat was not picked up by the destroyer sent to make the rescue, and was at sea with 46 passengers, children and adults for eight days until it was picked up near the Irish coast. Two teenaged girls held onto an overturned lifeboat for 18 hours before they were picked up, while another family, including two children not on the CORB program, floated on a tiny raft for hours before being rescued. 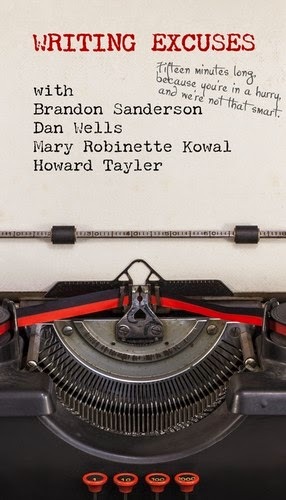 The characters whose adventures are described are all real, though some conversations and encounters have been fictionalized by author Amanda Lewis. September 17 by Amanda West Lewis, Red Deer Press, Markham, Ontario, 2013. It was so interesting to learn about the City of Benares and the CORB experiment, and how children might have reacted and experienced the events! I found the book a little slow to get started, but this changed as the trip got underway. There were quite a few characters to keep track of, but they all had different stories and perspectives. From a writer’s perspective, I’d look closely at how actual facts were embedded into the story to make a compelling narrative. Amanda West Lewis has written five books for young people. She enjoys many different creative pursuits such as writing, directing theatre, and calligraphy. She is the artistic director of the Ottawa Children’s Theatre. She is married to author Tim Wynne-Jones. On her website, Amanda West Lewis says, "As a writer, I love the extraordinary complexity, subtlety and magic of language." For more, visit Amanda West Lewis ’s website.